If it hasn’t become obvious over the years… we here at The Chopping Block have always been fixated on space exploration. 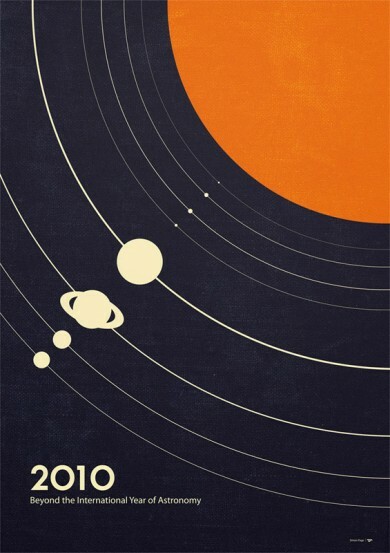 From our NASA themed website (circa 1998), to my personal space imagery blog wanderingspace, to Chop Shop’s Space Exploration tshirt collection — we have been working elements of space exploration into our own promotions as well as for the occasional client project since we began. So we thought we would feature a few other designers who have tackled the subject in various poster designs. Many of these are also available for sale by the artists and we provide the links when available. 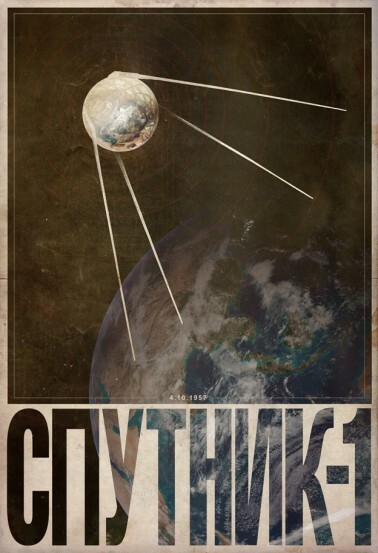 Justin Van Genderen has a short series of American and Soviet space mission posters on Flickr. You may know him better for his series of fictional travel posters depicting several planets featured in the Star Wars series of movies. 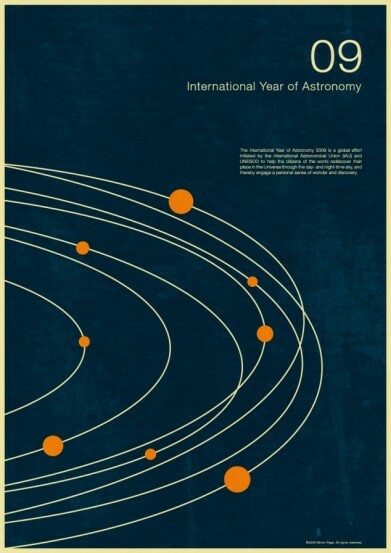 Simon C. Page had a huge amount of success with his International Year of Astronomy posters in 2009. The people at IYA actually picked up the series and used them to promote the event which helped further their exposure. They were seen everywhere and revealed what we already knew… people like space. 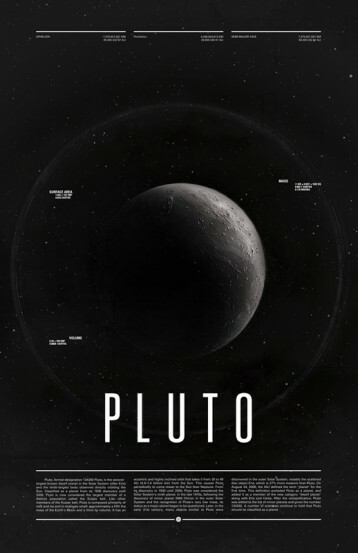 Ross Berens published a series of posters beautifully depicting each of the planets (including Pluto). Simple in concept with a sprinkling of information design makes these a must for anyone that can claim to have a favorite planet. 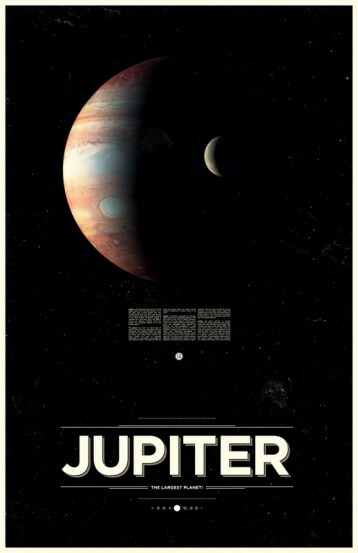 I myself own a copy of Jupiter. Michael Paukner has been featured here before with a post of his very own. We like his work and especially like how its focus is on bizarre theories and often junk science. Very fun. Lastly, I thought I would post a curious project I did for my blog a few years back. 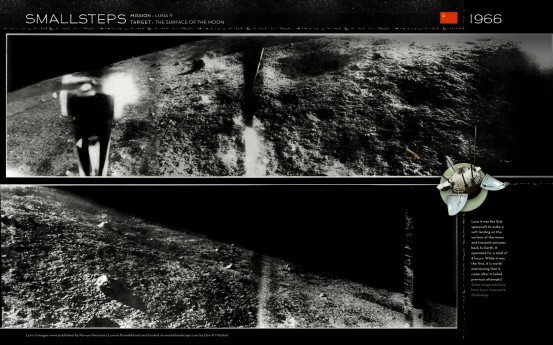 After years of scouring the internet for the best images ever taken of each major body in our solar system I came across many images of early space exploration that have been largely forgotten. Often they were kind of spooky and the limitations on the technology of the day are often apparent in the images. The noise, data or curious artifacts in the images actually make the images that much more appealing. 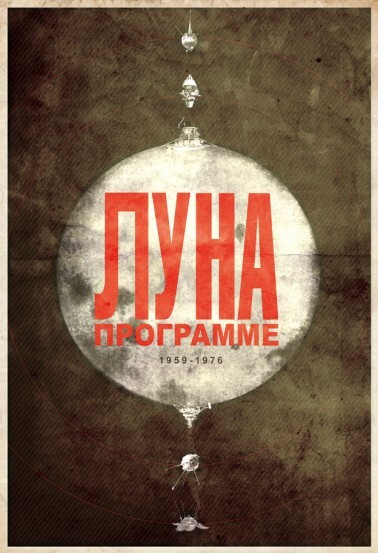 Especially haunting are many of the Soviet images which were hardly made available to the west at the time or became historical oddities. One such example being the Soviet Lunokhod Rovers many of which had been doing their best work long after the Apollo missions had already taken men to the moon and safely back home. 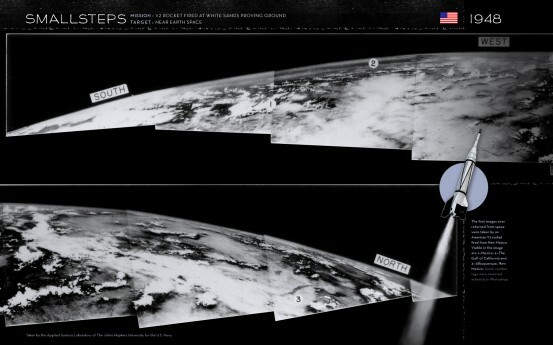 Also check out the rarely seen first image ever returned from outer space (in 1948!) 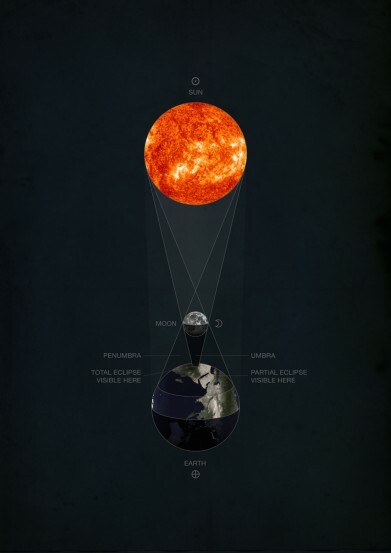 — you would think we would all be more familiar with that landmark image. That 1948 image is mind-blowing, a real hidden gem. I re-blogged these beautiful posters at the new Riding with Robots.